If you’ve read this blog for more than 10 seconds you know I think Nozbe is the best project management tool out there. I’ve been using Nozbe since 2013 and have built a reputation around helping both individuals and teams get the most out of Nozbe. Because I wanted to use the best tool, I actually quit using Nozbe in 2014 to experiment with other task management tools like Wunderlist (RIP), Todoist, Asana, Any.do, etc. All of these are great tools, but I kept coming back to Nozbe because it came with a team behind it that is dedicated to all things productivity. Nozbe is an incredible tool that can be adapted to how you or your team works best. Below, you’ll see the 10 features that put Nozbe above the rest of the other apps on the market. Nozbe’s founder, Michael Sliwinski, created Nozbe to scratch his own itch. He tells it as a story of reading David Allen’s Getting Things Done book and looking for an app to practice what he learned. It turned out that the app didn’t exist yet. So, he decided to create it. If you’ve read Getting Things Done , you’ll quickly see how Nozbe puts each GTD tactic into practice. Everything from using an Inbox to dump ideas, to using stars to highlight next actions, to using the calendar as a tickler file. Everything within Nozbe serves one purpose: being your most productive self. Many different productivity apps on the market today allow you to designate specific tasks for today or at least easily move tasks to a project used for today. Nozbe makes this entire process easier than all the other apps by using a simple star. The idea for staring a task came from the stars in Gmail. One quick tap and your task can quickly be added to your Priority list. Again, Nozbe is focused on the GTD methodology. Each project you’re working on is going to have one or two next actions. Often, you don’t need to see the whole project. You need to instead focus on just the next task to move your project forward, whether that’s making a call, sending an email, or conducting your weekly review. The simple star, creates your list easily so you don’t have to worry about moving tasks between projects or lists. According to the GTD methodology, any task that’s made up of more than 3-5 steps should actually be a project. Nozbe’s Projects are exactly what you’d expect from a task manager. They are like silos that hold all your tasks related to a specific result. Pretty much every task manager on the market uses projects to divide tasks, but Nozbe projects have additional features that make them more useable. Within each project you can attach files or notes. The attachments aren’t part of specific tasks, but the project as a whole keeping them easily visible and accessible at all times. You can easily share projects with your team members or literally anyone with an email address. They don’t have to have a Nozbe account to work with you on a project. Instead, they get a special project link and can collaborate with you there. Finally, Projects allow you to easily sort tasks. You can sort by task due date, creation date, last modification, or number of comments. You can see your project tasks in a way that works best for you. I’ve written about the advantages of Nozbe categories before, but I’ll share a quick summary here. Categories give you the ability to track certain types of tasks across different projects. For example, you can add the Category Calls to any task that requires you to make a call. You’ll probably have calls to make for tasks in different projects. When it comes time to make your calls, or if you have a few minutes of downtime, you can quickly pull up your Calls Category and see all your calls across different projects. You can make all your calls at once. This type of batching tasks, saves you time since you’re not switching between different types of tasks. Being able to sort tasks by Project and Category, gives you greater control of where you focus your productive energy. Even if you use Nozbe solo, Comments help you manage your tasks by keeping all relevant notes and files with your task. You’ll never have to go searching for information related to that task again because it’s already with your task! Comments can be as simple as a quick note. You can even attach any file type from your computer or phone. This one feature comes in handy when I go grocery shopping and need to remember what type of product to buy. I snap a quick picture, attach it to my task, and I’m off to the store. If you want to get more advanced with your comments, you can easily attach Evernote notes, or files from Dropbox, Box, or OneDrive. All your files are securely stored with your tasks so they’re available when you’re ready to work. If you use Nozbe with a team or share projects, you can easily leave a comment for another team member using the @ symbol. For example, as a Nozbe Ambassador I share a project with Delfina from Nozbe’s team. When she wants to leave a comment for me on a guest post I’m working on, she types @Robby and I get a notification showing her comment. Comments directly on tasks keep a record of how the task is moving along and provide a level of transparency for everyone involved. Some tasks have to be completed at a particular time on a specific day. GTD says that you should use a tickler file (a file with dates) so your tasks show up at the right time on the right day. One example is a bill that is due on a certain date. You might add this to your tickler five days before it’s due. If you’re like most people in today’s world, you live and die by your calendar. Many of us use Google Calendar to easily share calendars with family or coworkers. Again Nozbe is keeping with the GTD methodology by helping you sync your tickler file with the calendar you already use. Nozbe’s integration with Google Calendar is a life saver. As shocking as it sounds, some people don’t schedule time to work on their tasks. They make long lists of what they need to get done, but they don’t plan a time to actually complete their tasks. Because of this integration, you can not only see your scheduled (or tickled) Nozbe tasks on your calendar, but you can block off a dedicated amount of time to complete your tasks using the Time Needed feature. I’ve written at length about the calendar integration before, so check that out. When you work on a project with a team member or a client, it’s important to assign tasks to certain individuals. All my military and classroom experience has taught me that if no one is assigned responsibility for a task it won’t get completed. Nozbe makes task delegation as simple as two clicks. And once a task is delegated, it shows the team member’s name and picture. Now it’s super easy to see who is responsible for getting a task complete. One thing I hear people complain about when it comes to Nozbe is the lack of sub-projects. At first this frustrated me and is the main reason I quit Nozbe in 2014. But as I continue to study what actually works in productivity, I understand Nozbe’s reluctance to add sub-projects. The problem with sub-projects is that tasks get buried so deep they become worthless or lost. Nozbe’s flat structure gives you the flexibility to see your projects and tasks in different ways. Each task can have a checklist as a comment (and the task and checklist can quickly be turned into a project with tasks). You can also use Project Labels to sort similar projects. Just like using Categories across tasks in multiple projects, you can apply multiple labels to a single project. Talk about being able to group projects in a way that works for you. What was once the reason I quit Nozbe became one of the main reasons I stick with it and share it with others. Have you ever had to complete the same type of project again? Or do you have a project that you need to complete regularly? Instead of typing out all the tasks every time you need to create a new project, Nozbe has Templates! Templates let you create a project that includes all the tasks, comments, and due dates you need to complete. Why reinvent your project each time. In addition, you can share your projects with the world. Nozbe users are sharing their templates with the community to help everyone streamline their productivity by learning about what is working for others. No matter how amazing a software program is, you are bound to encounter a problem at some point. And Nozbe’s team is always there to help and get you up and running in no time. They are incredibly responsive whether you submit a ticket via email or contact them on Twitter. Not only are they quick, but they are real people with real personality. In addition, they are a team who practices what they preach when it comes to productivity advice. They even use Nozbe to make Nozbe better by sharing projects, commenting, and delegating tasks within their team. They are constantly listening to users and making their product even better. 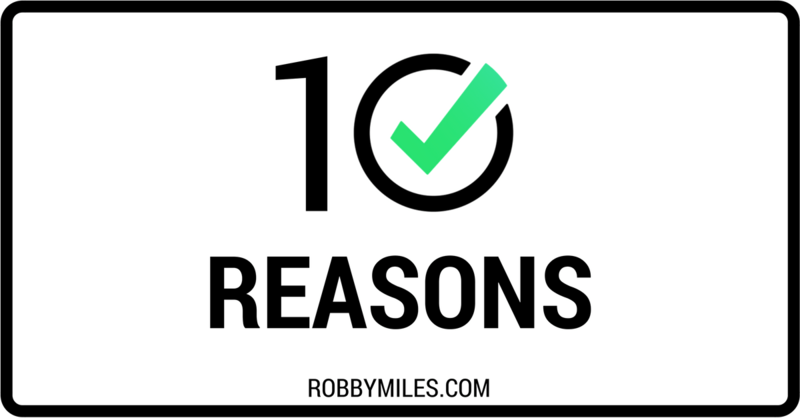 So there it is, the top 10 reasons Nozbe is the best project management tool. Let me know in the comments what you love about Nozbe or what I might have missed. As a Nozbe Ambassador, the Nozbe team trusts me to help you implement customized productivity plans using Nozbe for personal productivity or teams. Schedule a coaching call today to streamline your productivity.